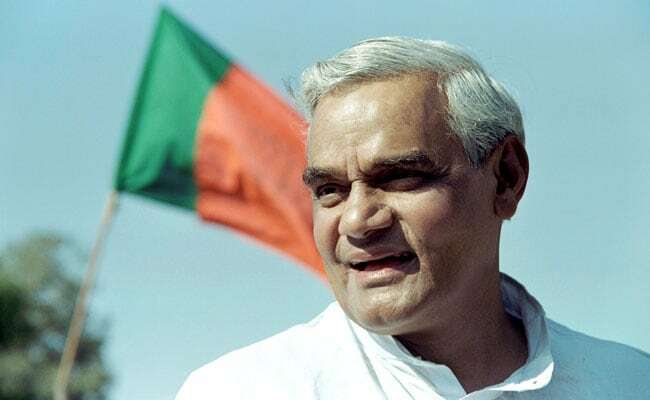 Atal Bihari Vajpayee, who was born in Gwalior, was elected from the city famous for its palaces and forts to the Lok Sabha in 1971 as the Jan Sangh candidate. Gwalior, in fact, also has a temple built as a tribute to the former prime minister by an admirer. The BJP stalwart, who died in New Delhi last evening, was also elected from another Lok Sabha seat in the state -- Vidisha. It was at a rally at Manawar, in tribal-dominated Dhar district, that Atal Bihari Vajpayee was first projected as the BJP's prime ministerial candidate, a party leader said. "Yes, I stand witness to the historic meeting attended by a large number of tribals in Dhar district. At the meeting, BJP patriarch L K Advaniji, for the first time in 1996, announced that Vajpayee will be prime minister in the event of the BJP coming to power at the Centre," BJP national vice- president Prabhat Jha told PTI. "That news was flashed across the country. That Vajpayee eventually became prime minister (in the same year) proved that Advani ji was a visionary leader," said Jha, the then media in-charge of the state BJP. "Advani ji sprang a surprise by choosing to make that announcement from a remote tribal area, Manawar in Dhar district, but it was carried well the next day in the media across the country," Mr Jha, a Rajya Sabha MP, said. LK Advani's words proved to be correct as Atal Bihari Vajpayee first served as prime minister for a period of 13 days in 1996, second time for 13 months and then for a full five-year term (1999-2004), state BJP spokesman Rajnish Agrawal said. Atal Bihari Vajpayee was born in Gwalior on December 25, 1924 to Krishna Devi and Krishna Bihari Vajpayee in the Shinde Ki Chawni area. The initial education of the poet-politician took place at Sheopur, then part of the Gwalior region. He later came to Gwalior, where he took admission in the Government Gorkhi Higher Secondary School, a party leader said. Moved by Atal Bihari Vajpayee's love for Hindi, his admirer Vijay Singh Chouhan, an advocate, built a temple in 1995 in Satya Narain Ki Tekri area of Gwalior as a tribute to the former prime minister. Mr Chouhan said, "I was highly impressed with Vajpayee ji for his chaste Hindi address at the United Nations to promote the language. I used to perform his 'aarti' daily by keeping a photo of Vajpayee inside the temple." "Besides celebrating the Hindi Day every year on September 14, I also celebrate Vajpayee's birthday on December 25," he said. Atal Bihari Vajpayee lost from Gwalior in 1984 to Congress leader Madhavrao Scindia. In 1991, he contested from Vidisha and Lucknow, and won from both the places. However, he retained Lucknow and vacated Vidisha.